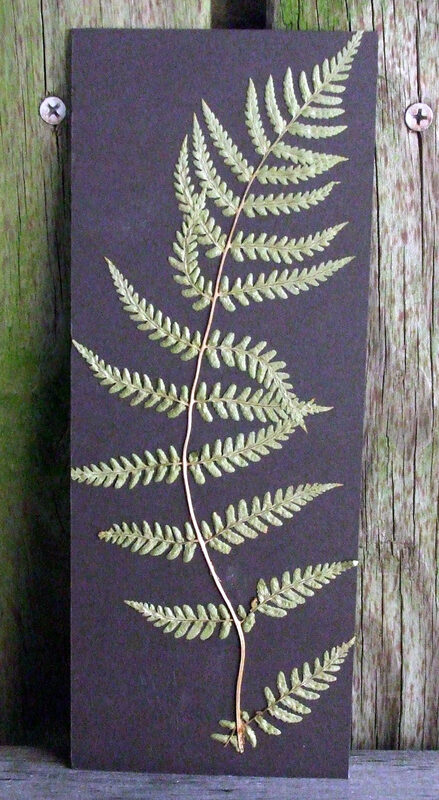 Herbaria I love, am inspired by, have visited, or all of the above. The inside of every plant press is full inspiration. 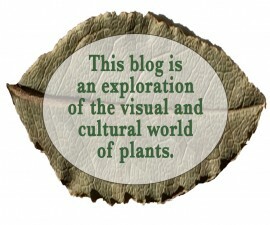 The photos in this post will show a small amount of the plant material I’ve collected over the years, including the sourcing info, background data and collection dates for some of the items. The presses themselves were handcrafted based on the world-wide industry standard botanical press size 12″ x 18″. 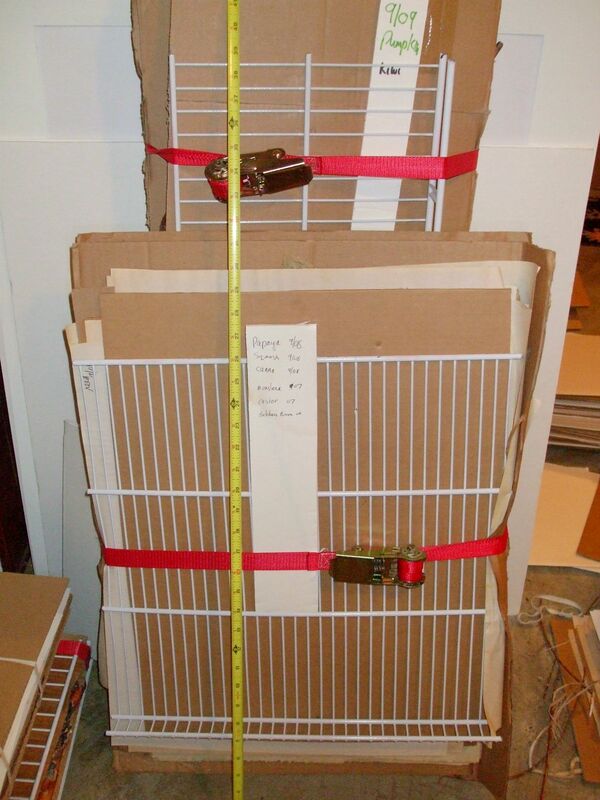 Most of the plant material was collected to fit in the botanical press standard . One benefit of having presses that size is that I can buy and use industry standard blotting paper and cardboard. Some of the presses, which I made to be easy to carry and maximize airflow, were built way oversize to acommodate larger items, like squash, papaya, elephant ear and castor leaves, and branches from trees, stalks of wheat, and the tall 6-row barley I had sent from Washington for a project for a local brewer. 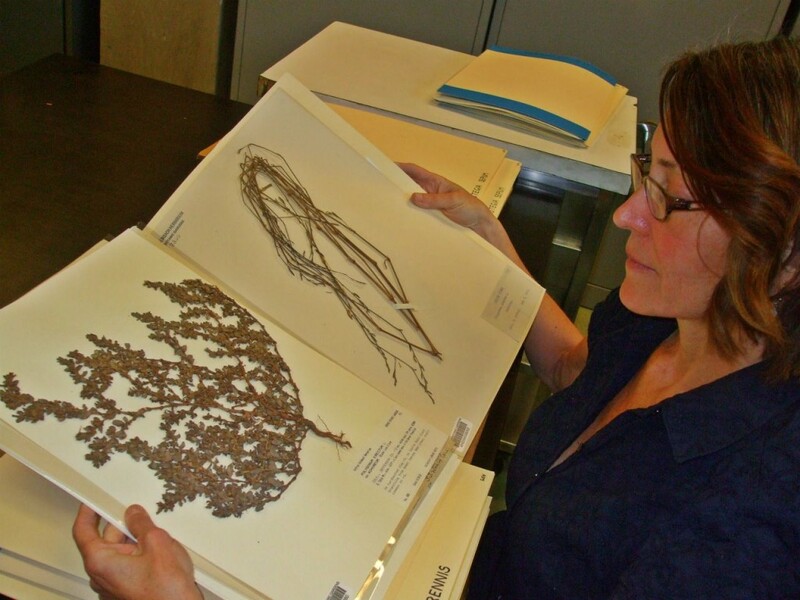 The Herbarium associated with the Denver Botanical Gardens has an excellent specimen collection related to the plant diversity of Colorado and the Southern Rocky Mountain region. And that’s not the best thing about it. It also has one of the few actively curated ethnobotany collections in the U.S. One of the items reported was the widespread use of plants in the Cedar/Juniper family by dozens of Native American tribes for things like as a talisman to help protect against evil spirits, medicine, fuel and dyes. And although I love this kind of stuff, it’s still not the best part. 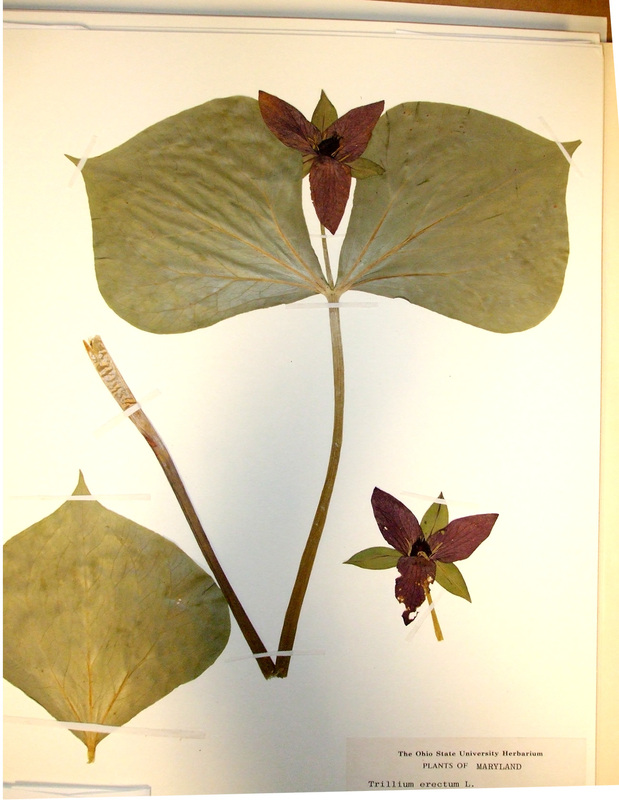 I found historic type specimen and unusual plant material at the City of Alexandria, VA herbarium. While I had hoped to get into the United States National Herbarium at the Smithsonian to see historic specimen, I got to see some of what I was hoping for here because of sharing that always occurs among herbaria. 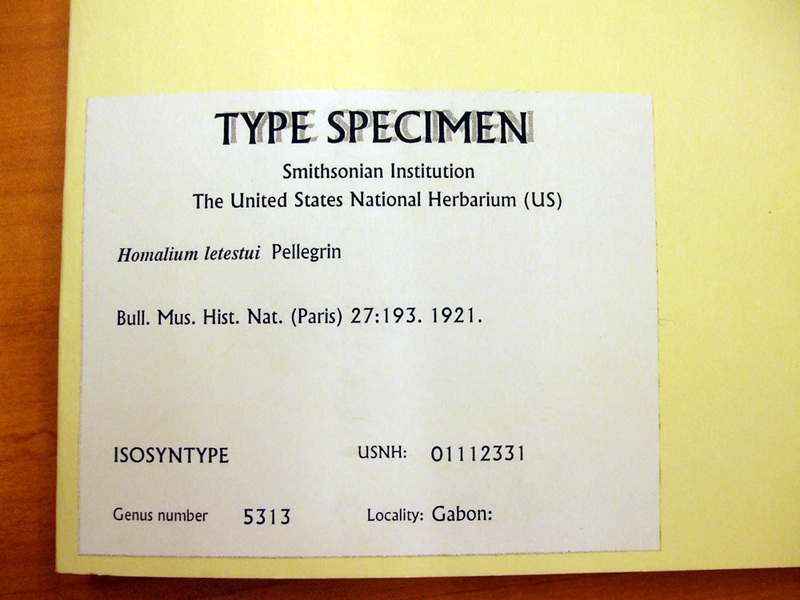 This label is for a plant specimen that’s not only from the famous national herbarium, but it’s also a “type specimen” (from Paris, 1921) which indicates it’s the best possible representation of that plant. It’s the reference point for scientists when attempting to identify plants. 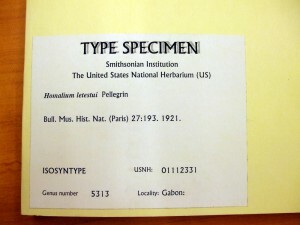 Type specimen are among the most valuable pieces in an herbarium. There were some beautiful specimen, as well as interesting historical remnants, at the Norton-Brown Herbarium at the University of Maryland. The herbarium was established in 1901 making it one of the oldest in the U.S. (the University of Florida Herbarium is the oldest, established in 1891). Most of my inspiration comes from historical preserved specimen. The two here are especially nice. I love seeing plant material that is not otherwise accessible to me. 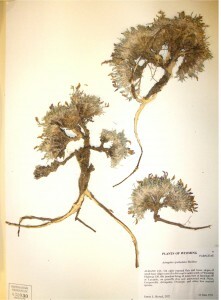 The Astragalus, left, was collected in Wyoming in 1971. The Trillium, right, is from Ohio, 1983. Early American collection equipment were often metal containers meant to protect the integrity of the plant material (and retain bits that come loose).